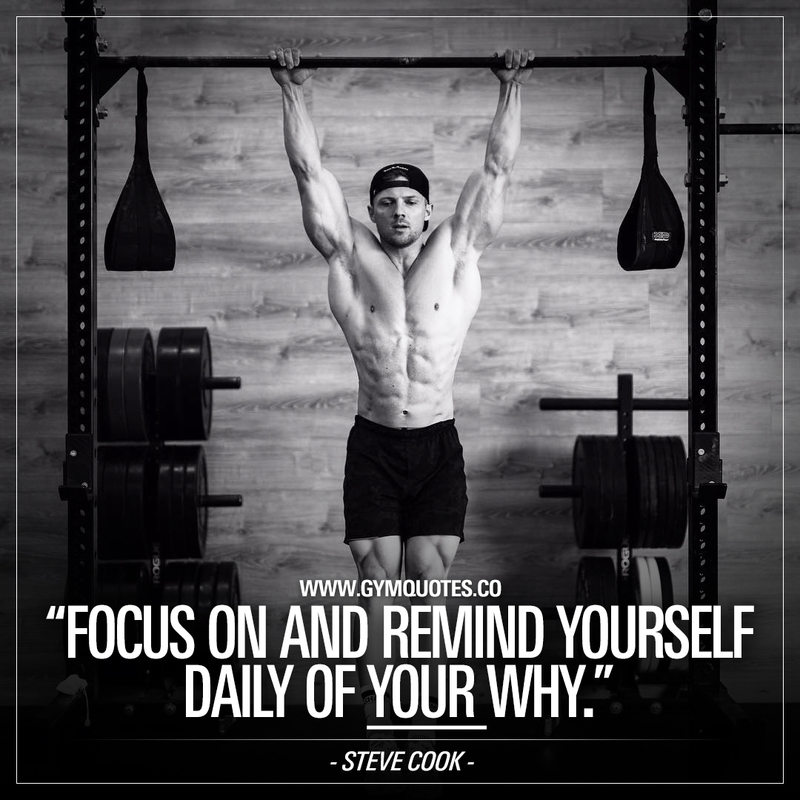 Steve Cook quote: Focus on and remind yourself daily of YOUR why. Focus on and remind yourself daily of YOUR why. I think this (together with a few other things) really is the KEY to growth. You really need to remind yourself daily of what it is you are working so hard for. Whenever I’m about to give in to temptations when it comes to food (i.e eating less healthy food) or whenever I feel I’m “too tired” or just not in the mood for the gym – that reminder – is key to pushing myself in the right direction.